On 23rd of February 2018, we conducted an Early Childhood Development (ECD) training program at Balsikshya Higher Secondary School located at Khadichaur, Sindhupalchowk. Twenty one teachers attended the half day long program. The training was facilitated by Professor Branislav Pupala from Czechoslovakia who specialized in early childhood development. Professor Pupala gave session on methodology of effective ECD education. He also shared comparative analysis of ECD education between eastern countries and western countries. A local teacher helped in the translation of language. The teachers were impressed with the session and have suggested to have more in-depth programs. Also, the construction of ECD center, funded by Xavier Network is at the final level of completion. 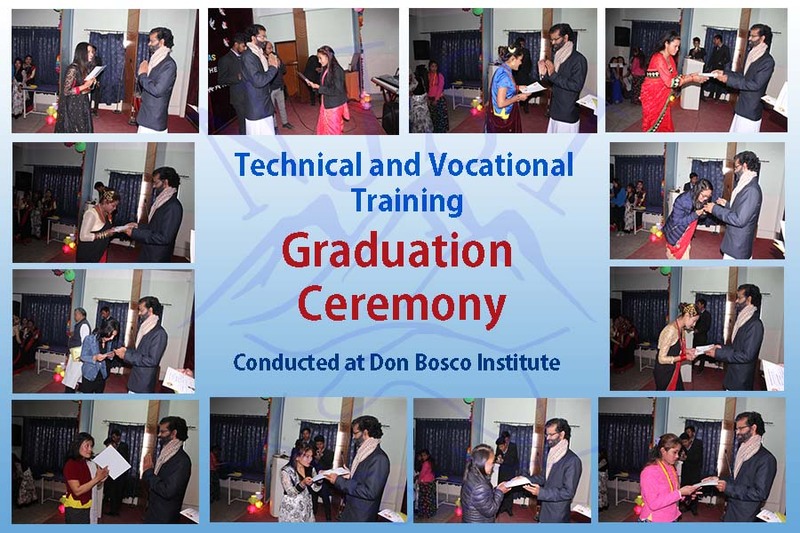 NJSI had financed 16 trainees to obtain training at Don Bosco Institute of Technical and Vocational Training, Thecho Lalitpur. Seven trainees graduated on September 2017 with diploma in Computer and Electricity training, one dropped and eight have recently completed six months long training program. They have graduated with diploma in Basic Tailoring, Beauty Culture and Hair Dressing. 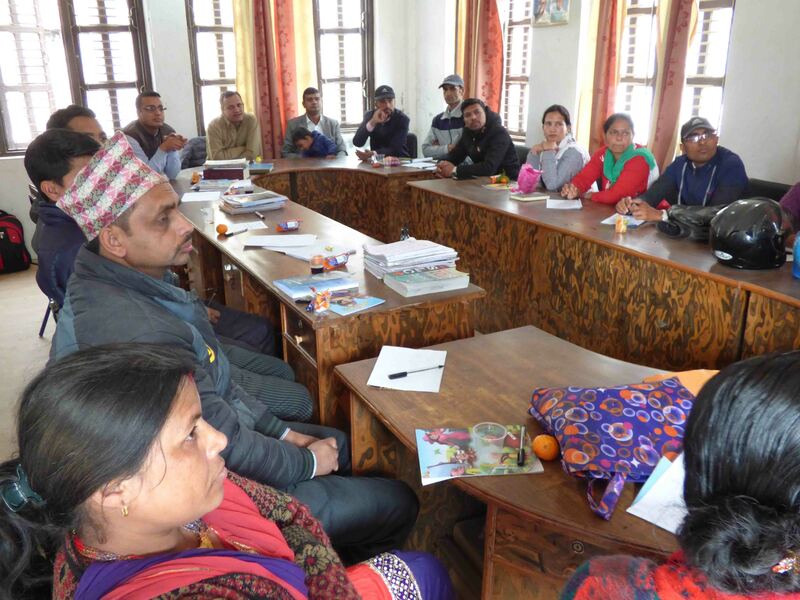 The training was affiliated with the Council of Technical Education and Vocational Training (CTEVT), a national autonomous body of Technical and Vocational Education and Training in Nepal. They received the completion certificate on 22nd December 2017 from the hand of Fr. Augustine Pulickal, director of Don Bosco Institute. Most of the trainees have received over 75% grade in the training evaluation. These girls come from economically poor background. We are happy for their successful completion and are positive that the training will benefit to uplift their livelihood. Since 2015 NJSI has been supporting 21 children with special needs, residing in Susta Manasthiti Puranasthapana Kendra in Kharelthok, Kavre. We provide regular supplies of nutritious food and general medical support. These children have various mental problems like autism, cerebral palsy, seizure and Down syndrome. Similarly, a 3 days long physiotherapy training was conducted on 27th, 28th and 29th January 2018 as a sequel to previous training on “monitoring and handling challenging behavior of the children”. Senior physiotherapist, Mr. Suresh Shrestha, speech therapist Ms. Mahima Ghimire and psychologist Mrs. Rama Karki from SOS Children Village were invited to give the training. The training aimed to strengthen parents’ and teachers’ ability to deal with children and to teach them methods of giving general physiotherapy and speech therapy. Some children were given physiotherapy session during the training itself. Altogether 25 parents and teachers actively participated. They are positive that the techniques learned will allow them to take better care of the children. On 31st January and 1st February of 2018, NJSI distributed educational materials to 43 visually impaired children at Sanjiwani Higher Secondary School, Dhulikhel and B.P Eye Foundation, Lokanthali respectively. Each package comprised of a school bag with braille slate, braille paper, talking calculator, pen drive, pen drive radio and a cane in it; Bright Star Society assisted in making optimal package for these special children. 24 packages were distributed to students of primary and secondary level at Sanjiwani and 19 sets were distributed to small children at BP Eye Foundation. All of them were below 10 years old and were receiving rehabilitation training, preparing to obtain school education. All recipients belong to poor, rural families and are residing living in hostels of respective institutions. Construction of 12 km road to Tipling has been completed. The road has crossed Pasngang Pass which is situated at the height of 3,727 meters. The construction of 28 km long road was initiated in March of 2017. Penetrating and breaking massive rocks through Narchyat, 9 km road from Somdang to Pangsang was completed on 22nd December 2017. Women’s Group of Tipling had enthusiastically reached Pangsang to conduct appreciation program for NJSI team walking 4 hours uphill from Tipling. As of today, the road has reached 3km down from Pangsang to a place called Mherghang. JCB operator, Mr. Pradip Basnet who has been living at the construction site from day one reports that snowy weather has been a hindrance slowing down the pace of construction. Yet, he is confident that the rest will be constructed within six months. 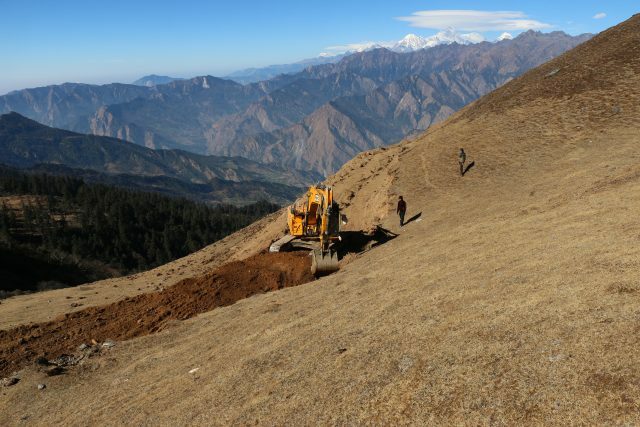 With the enhancement in road construction, locals have already started planning agricultural and business enterprise. NJSI is happy to see our vision of improving locals’ livelihood taking its shape.